Here is a brief but informative introduction to the story behind French physicist Andre Marie Ampere's discovery of the eponymously named law that governs the relationships between current flow and a magnetic field. As most RF Cafe visitors know, both a steady state and time-varying current will generate a magnetic field, but only a time-varying magnetic field can generate a current flow. In less than a week after witnessing Hans Christian Ørsted's demonstration of a current-carrying wire influencing a compass needle, Ampere discovered the Right-Hand Rule of current flow direction based on the direction of the magnetic field. Ampere's Law states that a pair of conductors carrying electrical currents exert magnetic forces upon one another. Furthermore, the amount of that force depends upon the amount of current flowing in each conductor, and the distance and angle between them. 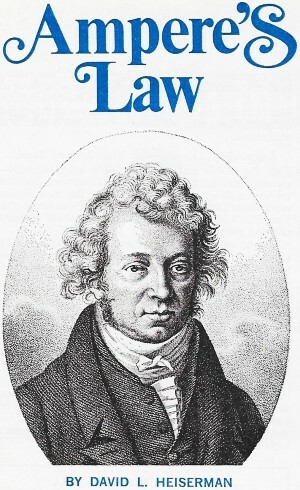 Andre Marie Ampere, a French physicist and mathematician, announced this new law of nature on September 18, 1820. As if discovering such a law weren't enough, Ampere used it to lay the theoretical foundations for a whole new branch of electricity and physics called electro-dynamics - and he did it in just seven years. Early Years. Looking back at Ampere's work from our present-day point of view, it appears that the man spent the first forty-five years of his life preparing for his seven years of discovery: Born into a moderately well-to-do and educated family, young Ampere had most of the advantages available to French children reared during the Great Revolution. Moreover, he was a child prodigy who learned geometry and calculus at the age of twelve by reading texts that were written in their original Latin. When Ampere was eighteen, his father was executed during the bloody "Reign of Terror" that swept France. The sights and sounds of the revolution, topped off by his father's violent death, shocked Ampere's mind. He spent the following six years of his life wandering aimlessly about the countryside, building sand castles by the sea and composing nonsense poetry. At the end of that lost period of time, Ampere married and settled down to a more conventional style of living. His brilliant mind had returned, but the family money was gone. So, Ampere took his first job as a professor at the University of Bourgen-Bresses. Barely three years passed before his wife died, shocking Ampere's mind into a stupor for another year. Napoleon had heard about the talents of this unfortunate young genius, and he offered Ampere a teaching position at a school in Paris. Discouraged with life, but anxious to return to his work, Ampere accepted the position and he remained there for the rest of his professional life. Ampere began contributing papers on a wide variety of subjects, including chemistry, mathematics, molecular physics and biology. At the time, his special interest was in the theory of games. These papers were important to other scientists, but they were not the sort that fall into the category of special greatness. A New Discovery. On September 11, 1820, Ampere happened to attend a demonstration of Oersted's new discovery. The demonstration showed that a current flowing through a straight piece of wire makes a compass needle turn to a position at right angles to the conductor. Even while this demonstration was still in progress, Ampere must have thought, "Since one conductor carrying an electrical current can exert a force upon a compass needle, why can't two current-carrying conductors exert forces upon one another?" Excited by the notion that current-carrying wires produce exactly the same kind of magnetic forces as loadstones and permanent magnets, Ampere immediately dropped all his other work and began investigating this "artificial" source of magnetism. In seven days, Ampere developed the fundamental theories of electrodynamics, designed and built the experimental setups, performed the necessary experiments, and presented his findings to the scientific world. No other major scientific discovery has ever been conceived and tested in such a short period of time. Ampere was, indeed, fully primed for this week of great discoveries. Two highly significant ideas emerged from Ampere's mind and experiments that week. For one thing, he developed what we now commonly call the "right-hand rule." According to this rule, with the thumb of the right hand pointing in the direction of conventional current flow (positive to negative) through a wire, the curled fingers of that hand indicate the direction of the resulting magnetic field. Oersted had already concluded that magnetic lines of force emerge at right angles from the conductor. Ampere, however, perfected the notion by making it possible to predict the sense, or polarity, of that field. The other important idea in Ampere's first paper concerned the attraction and repulsion of two parallel wires carrying an electrical current. Ampere showed that currents flowing through the wires in the same direction made them attract one another, while currents flowing in opposite directions made the wires repel. Ampere's discoveries about the direction of magnetic fields around a conductor and the forces acting upon a pair of current-carrying wires are just as important today as they were 150 years ago. 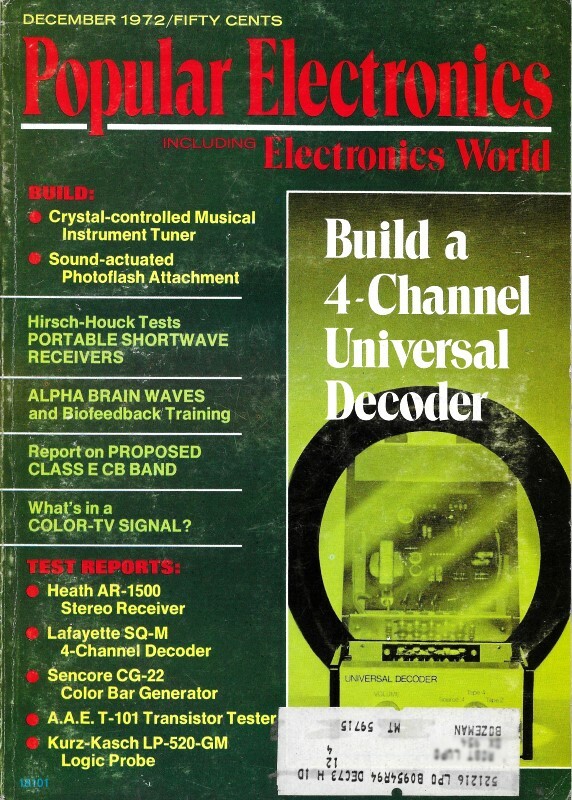 What is perhaps even more remarkable is the almost unbelievable simplicity of the lab equipment he used. He managed to open a whole new technology using nothing more than a few lengths of copper wire, a compass, and a couple of Volta batteries. During the seven years after his preliminary announcement, Ampere's papers became increasingly spiked with complicated equations. His early studies of geometry and calculus were paying off. Other researchers in Europe had picked up some good ideas from Oersted's work, too; but most of these people lacked the high level of mathematical sophistication and creative insight Ampere possessed. Back to the laboratory. His work soon reached a point where he had to return to the laboratory to confirm his equations. This time he had to obtain precise figures for the amounts of current flow and forces between the conductors. Using what was then a revolutionary new measuring instrument, the galvanometer, Ampere was able to measure the amount of current flowing through the wires. His own original work with coils of wire and solenoids, by the way, was directly responsible for the invention of the very galvanometer he used. Since he also had to know the exact amount of force two conductors exerted upon one another, Ampere devised a couple of specialized instruments. One of them was an ordinary laboratory balance that had a solenoid attached to one side of the beam. This solenoid fit inside a larger one fixed to the bottom of the balance. Current flowing through the two solenoids made the smaller one move inside the larger. By placing calibrated weights upon a weighing pan on the opposite end of the beam, Ampere could determine the exact amount of force the two sets of conductors exerted upon one another. According to the famous scientist, James Clerk Maxwell, Ampere's fundamental equations had "leaped full grown and fully armed from the brain of the Newton of electricity." Ampere's equations were practically complete even before he set out to demonstrate their validity in the laboratory. Making up equations before running the experiments was contrary to the accepted scientific procedure of the time, but one simple fact silenced all critics - the equations and laboratory experiments always agreed. And to honor this "Newton of Electricity," the International Congress of Electricians named the basic unit of current, the ampere, after him. Ampere was a hard worker as well as a scientific genius. Even while he was concentrating on the job of building the foundations of electrodynamics, he taught classes at the university. Perhaps this was a mistake. Ampere was noted for stopping his lectures in the middle of a sentence while his mind wandered off onto some new idea or equation. He also had a habit of letting his work at the blackboard meander into some new line of mathematical reasoning, leaving his students to puzzle over the jumble of incomprehensible figures related to some new idea in electrodynamics. Ampere was, indeed, a classic example of an absent-minded professor. There can be no doubt, though, that he was one of the most successful absent-minded professors of all time. Unlike the blackboards that carried his ideas off into oblivion, Ampere's basic equations stand essentially unchanged to this day.